An accommodated overland tour taking in the very best of the Garden Route. Spectacular scenery, pristine beaches, indigenous forests and a wildlife safari await. This leisurely paced tour offers plenty of time to relax and take in the beautiful surroundings. Today we travel to the famous Garden Route and set up camp in Storms River village. 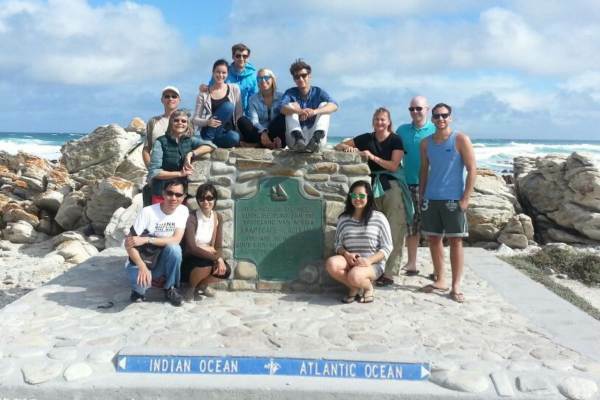 En Route we stop at Jeffreys Bay - famous for its surf.A visit to the Tsitsikamma National Park is definitely a highlight. 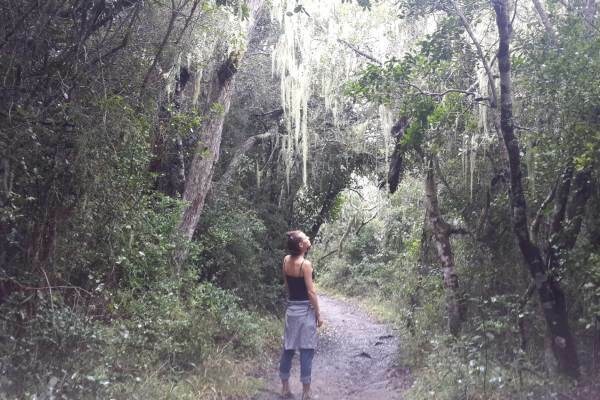 This is a beautiful area of South Africa and you have an opportunity to hike along the coast and through indigenous forests. For those with energy there is an opportunity to do a morning hike along part of the Otter Trail. This is a strenuous hike taking in rugged coastline. We also do an afternoon Woodcutters Journey to learn about the local history and fauna and flora. We enjoy a spectacular drive along the Garden Route – taking in numerous stops to enjoy this popular and scenic area of South Africa. A stop at natures Valley is included and allows time to enjoy a hike or relax on magnificent beaches. Passing through Knysna we head for the Wilderness where we spend the afternoon at your own leisure. There are a number of activities on offer or you can relax and soak up the incredible scenery. After a morning of exploring, we leave the lush coastline and head for Oudtshoorn – the “Ostrich Capital”. We ascend the magnificent Outeniqua Pass and make our way back into the Karoo. In the afternoon we enjoy a visit to the impressive Cango Caves where we join a guided tour of this unique underground cave system. Our final day sees us taking the scenic whale route, including a stop at an African Penguin Colony. A visit to a wine farm near Stellenbosch provides an opportunity to sample local wines and chocolate.Our tour ends in the afternoon. It is recommended to give yourself a couple of extra days to explore amazing Cape Town.